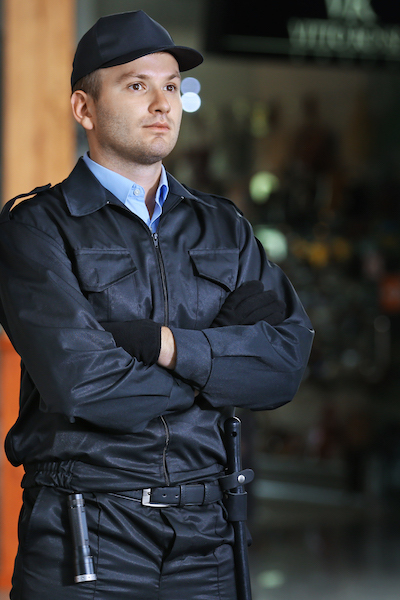 Need Onsite Professionals with Advanced Security Guard Training? Before working at your facility, Colonial Security Services’ guards undergo classroom and on-the-job training. To assure client satisfaction, guards are tested on this site-specific information, confirming their understanding of requirements and affirming their ability to perform on-site duties. This assures that guards are informed of all contractual requirements as they pertain to services promised and duties mandated. To assure consistent service, Colonial Security has established a monthly training program that informs, inspires and instructs officers using timely training bulletins. These training bulletins provide the latest information, techniques, and tips that improve skills and motivate performance. Because of this comprehensive training, Colonial Security clients receive industry-leading service both on- and off-site. Developing screening methods to attract the most qualified candidates. When appropriate, candidates with prior military or related experience will be sought. Selecting candidates based upon clear criminal and drug testing background checks. Colonial Security Services is a security guard company offering licensed security guards, supervision and backup services, security guard training, and more to clients across New Castle, Newark, Wilmington, Chester, Philadelphia, Camden, Cherry Hill, Baltimore, and surrounding DE, PA, NJ, and MD communities.